Oxford neuroscience has organised an exciting exhibition and programme of events called 'Brain Diaries'. This programme launches on 9th March 2017 at the Oxford Museum of Natural History and continues until 1st January 2018. 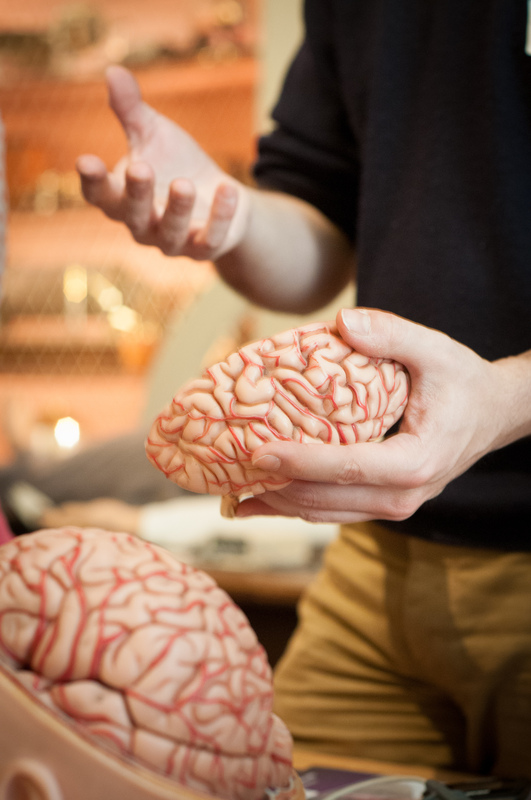 Opening to coincide with international Brain Awareness Week, the exhibition is accompanied by a varied programme of public events, including in-gallery demos, talks, and a brain-inspired family science fair. The exhibition is hosted at a variety of locations including; Museum of National History anf Museum of the History of Science. To see full details of the programme and the events taking place, please follow this link. Brain Diaries charts the fascinating changes that take place in the brain with each new chapter of life. It shows how your brain’s billions of neurons and trillions of connections make you the person you are. Featuring specimens from the museum’s collections, digital interactives, and video contributions from neuroscientists, Brain Diaries will give visitors an insight into some current understandings from the rapidly developing field of neuroscience. At the close of the exhibition visitors will be invited to enter a competition to devise their own investigation of the brain using state-of-the-art magnetic resonance imaging (MRI) scanners at the Nuffield Department of Clinical Neurosciences at the John Radcliffe Hospital in Oxford. The successful idea will be carried out by scientists at the hospital in participation with the competition winner. Just three weeks after conception, the embryonic brain generates a quarter of a million neurons every minute. About 20 per cent of the body’s energy is channelled to the brain, yet it remains staggeringly efficient, consuming less energy than a filament light bulb. The human brain isn’t fully developed until the mid-twenties – much later than experts once thought. The internal clock that controls sleepiness runs up to three hours ‘late’ in teenagers, although scientists aren’t quite sure why. Even into old age neurons are still building new connections and circuits, maintaining our ability to adapt and learn.